For questions about Kids & Teens products email activekidsandteens.healthcare@signiausa.com. Signia has a wide range of hearing solutions and accessories that effectively meet the needs of active kids and teens. A lot is demanded of your child’s hearing when he or she starts school, especially in noisy environments and classrooms where it can be difficult for children with hearing loss to concentrate on the teacher’s voice. With a suitable hearing aid, your child can easily follow what is being said, and actively contribute to classwork. Audio shoe – allows children to use an FM/DM* system at home or school. FM/DM system – enhances hearing in noisy environments like a classroom. 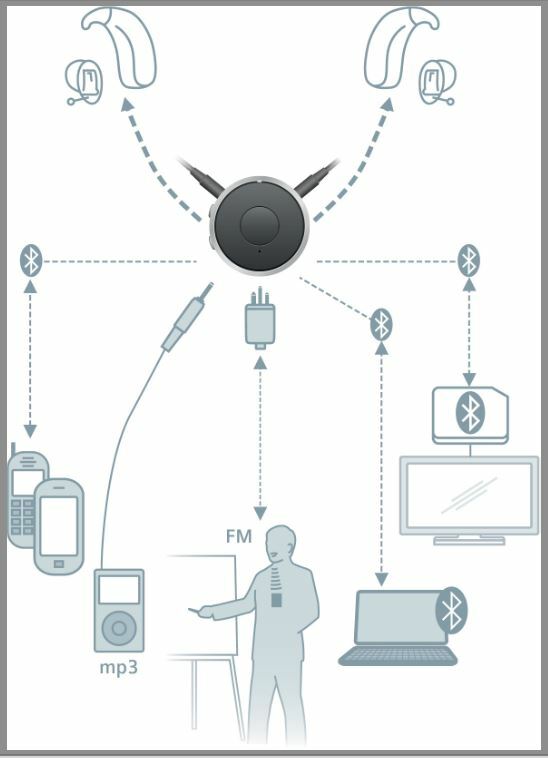 A microphone worn by the speaker (teacher) transmits their voice directly to the receiver in the hearing aid over FM/DM radio waves. Signia offers pediatrics direct access to FM with their hearing instruments via Direct Audio Input (DAI) ready battery doors. FM compatibility: Motion SA primax and Carat A binax come with a DAI-ready battery door. This hearing instrument is compatible with any competitor’s FM system. Just plug the receiver into the battery door for access to FM. Power: Nitro® micon is our super-powered hearing aid. It includes safety features, such as a key lock, battery door lock, and LED status indicator, and is also FM-compatible. All Signia hearing aids are FM-compatible when used with our easyTek™ and miniTek® audio streamers that allow wireless connection to smartphones, tablets, TVs, and gaming consoles. Your miniTek can be connected to any standard FM receiver. 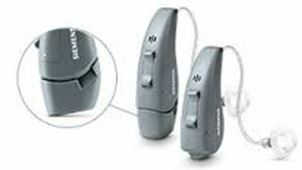 This enables you to use FM systems even with hearing instruments which are not equipped with an audio shoe. FM systems help to improve speech understanding in difficult listening situations and are frequently used in schools. Press for about 3 seconds to turn the miniTek on. Turn the FM transmitter on. Connect the FM receiver with the DAI port of the miniTek. Press on miniTek to change to the FM transmitter (see chapter “Getting Started”). Now you can hear sound from the FM transmitter through your hearing instruments. 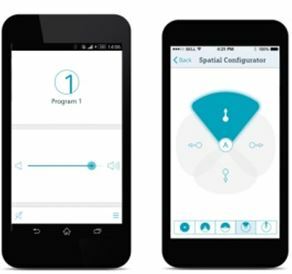 The easyTek™ App and touchControl™ App allow younger patients to simply and discreetly adjust their hearing aids’ volume, programs, microphone directionality, and other cool features right from their smartphones. For questions or to learn more about our Kids & Teens products, please feel free to email us at: activekidsandteens.healthcare@signiausa.com.